Be the first to hear about their new releases and deals. Download the Booksprout app and search for Bri Stone today! 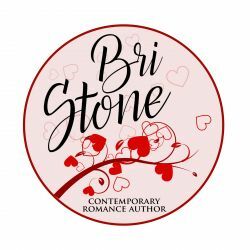 Bri Stone writes page turning, skin tingling, new adult romance. If she isn't writing, she is probably reading, binge watching anything on Netflix, or imaging crazy scenarios in her head that will probably never happen. When she isn't creating make believe friends, she is buried in her Pre-Med classes at the University of Iowa.